Yes and No oracle cards are a very simple and intuitive tool, which are massively gaining popularity in the present day and age. This is not just because of the accurate knowledge they provide, but the simplicity they offer too. For a typical zodiac reading, it is common for an astrologer to look up into multiple star constellations as well as make various charts before reaching a conclusion. Oracle reading is quite different from this, however. It only needs a question that can be answered in the affirmative or the negative, hence the name yes or no oracle. With this, people rebuild their trust in psychic qualities and services that are available out there as well as online. To ask oracle yes or no questions is a very sacred and divine process, according to many psychics out there. They are also called yes or no fortune tellers and can be seen at various psychic fairs around the country. 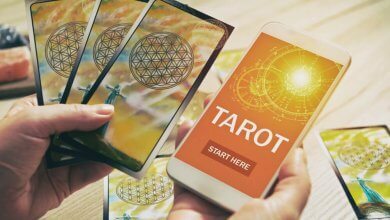 Often, they provide free oracle reading or ask for a tiny sum of money, which is usually not too much considering how you can get important answers pertaining to your life. The basic science behind oracle card reading is that an oracle is something through which the divine speaks. 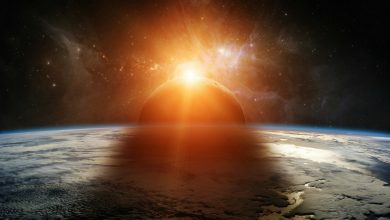 The meaning of divine is something different for each person, depending on what they believe in. However, the gist of it says that for the divine to intervene and help tell you the answers to your questions, a yes/no oracle is a good way to go about. Is a Yes No oracle accurate? Seeing how so many oracle readers are available online, it is quite possible that one may be doubtful of their accuracy. But the truth is, that if you really doubt the other person’s readings, and think that they are not entirely in the true, you have an equal chance of becoming an oracle reader yourself too. The simple belief, that we are all connected to the divine, lets anyone become a yes no oracle reader, allowing divine guidance to come through to other people through our own self. You may be surprised at this since a lot of people do not really associate themselves with the divine or think that they have the potential to answer yes and no oracle questions. The simple fact is, that like the Tarot Card reading, if you want Oracle yes no questions answered, you can do so yourself too. Think of all the times the divine may have intervened in your life. It could be that one moment when you saved your group from incoming trouble since you sensed it before anyone else. It may as well be that you ran into somebody, totally by coincidence, who went on to totally change your life for the better. Or simply enough, something that you read about helped you gain knowledge and success in the real world. All of these, although they came without oracle reading about the future, indicate that divine knowledge flows through you and you indeed have the potential to make your own yes no oracle readings. The one trick that all yes no oracle readers advise of is going inward and discovering yourself from the inside out. Online oracle reading is also a different form of the same principle. 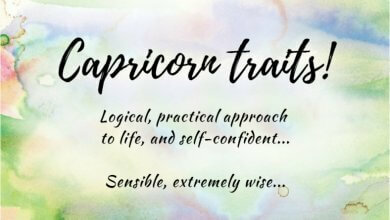 It tries to read you out before providing an answer to you that is not only truthful but resonates truly with your personality and name, which can be guessed from your date of birth. Yes No horoscope is probably the most common of methods, which let a person get easy answers to their questions. In this article, in addition to telling you how good using the yes no oracle for your life can be, we also tell you six easy steps to do the same by yourself, taking the ultimate control of your life in your own hands. There are tips that tell you about how to ask the best oracle yes or no question, as well as how to make the best use out of the answer that you get. There is all this and more, just continue reading. Like there are to everything these days, yes no oracle reading too has two methods you can adopt. The simple one, which requires you to plug in a little information, and voila, there you have your yes no oracle reading. The other, although quite arduous, but a lot more satisfying is the method of doing so by yourself. In addition to that, it becomes a free yes no oracle reading. There are only six steps to learning to do this. Being in the zone is just as important for yes no oracle reading, as it is for any other activity that requires divine intervention. Much like many religions of the world too, that require a person to physically read out aloud their intention for any religious act they are about to perform, yes no oracle reading too requires at least a mental acknowledgment of the intention to perform a task. This also involves clearing out space and sitting somewhere you can fully concentrate on the task at hand. A few experienced oracle card readers move about this activity, starting by doing something called cleansing their cards. This involves going deep into meditation and then consulting the divine personality for clear knowledge, truth, as well as wisdom. To go about this task, sit down, close your eyes, and breathe until you feel like every muscle in your body can be felt by you. It might feel like everything is numb and feeling-less, but in its actuality, it is you going out beyond this world’s troubles into the land that can give you answers to everything. The technical term that is used is to call in your guides and ask them for guidance regarding the oracle reading that you are about to perform. This is probably the most important step out of all the six that you will be going through. If you are performing the yes no oracle reading for yourself, there is not enough we can do to tell you about the importance of this act. And if you are performing it for a friend or someone else, it is very important that you let them know beforehand of this step. Shaping the question in a way that the oracle can answer it is very important. Think of the keywords in this method of psychic reading. It is called a yes no oracle reading, and therefore, it will never be able to answer when you will find the love of your life. You have to be very specific and direct in the question that you throw towards the oracle. Therefore, if you wanted to ask when you will find the love of your life, you could change the question to something like, if you would find the love of your life during this month, or in this year. With the question being put up in this way, it gets easier for the oracle reader to tell you whether it will happen or not. Restricting the answers to either an affirmative or a negative is the main aim over here. One more thing, it is not necessary to ask your question out loud, but it can certainly help your psychic get into a better feel and go deeper if you do so. Again, always remember never to throw in open-ended questions, but always try for a two-way approach, because this is the only way a yes no oracle reading works. There are so many ways of going about shuffling your cards. If you are a beginner, you can even go on simply by starting the shuffling process and learning along the way. There is no right or wrong way of going about it. However, you should always know that the time to start the shuffling process is when the other person or you have read the question, out loud or in your heart. There are only a couple of important tips that we need to give you regarding the shuffling process. You can start to imagine that your cards are not just a set or a deck, but a source of light that are your key to answering any question according to the yes no oracle reading. When you imagine your deck of cards to be a source of light, the shuffling process can help you see any changes that might appear in your mind and imagination. As you move along shuffling, you will most probably see the answer to when to display the deck of cards in a proper layout. There are so many different ways of choosing the cards that will help you in your yes no oracle reading. You must have seen a lot of different ways that people shuffle their cards, and then put them in a certain layout. For an experienced person, there is usually one method that they have settled with, and which helps them in choosing the right cards every single time. For a beginner, however, there might even be some trouble in shuffling the cards too, if they have not touched a deck in their life before. Start off by practicing shuffling and then laying out the cards. It is not a problem if you cannot seem to get them into a perfect order in the start. Try it out once or twice, and you will begin to see a pattern of a few cards that always seem to break the pattern. These are the cards that you need to use in your yes no oracle reading. 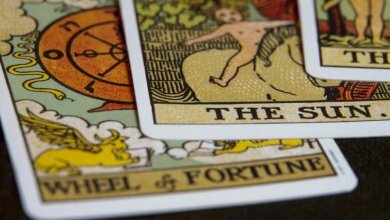 The number that you choose for your card reading basically depends on the card spread that you are using. However, we advise that if you are a beginner, you should go for a single card, or a three card yes no oracle reading. Go on by picking up the first card that you have drawn. There is an easy and simple process to reading the card, which we will be teaching you in the following text. Pick out the card that you or your friend have drawn. What did you start to notice? Is there anything specific in the imagery that you notice? The trick here is basically moving in and interpreting the first thing that you notice in the card. You have to go deep into the meaning it symbolizes. There are a lot of questions that need to be answered after you have seen the card. Focus on these. What is the first thing that comes into your head after seeing the image that you have just seen? Breathe and relax during this process. You need to know and reach the absolute crux of all of this. For this, you need the clearest of minds and an intuition that is very sharp. Open your heart to all the things that are coming in, and you will know everything about the card that you are seeing. You may be worried that you might over-read into a card, or read a little less, but do not worry about this at all. Any over-reading, that you think you might have done, is basically there to help you in your guidance. Do not also hesitate to read between the lines, because if the meaning is not clear to you at first, you can always come back for them later. Some cards are indeed a little confusing to read into, and they require a little more time than usual. If it still does not work out, try reading out loud the details you see in the card. This can help trigger multiple thought processes in your head which can then be used in finding the true meaning of your yes no oracle. With all of the above five steps in motion, you now have very little left to handle. With the five steps, you can always start on building your own yes no oracle reading. There are a lot of different takeaways from oracle reading. First off, you need to trust yourself that the cards you or your friend drew are the right ones. If you have the slightest of doubts about your chosen cards not being right, you should go through the entire shuffling and picking of cards process again. This is the only way forward for a reliable reading. Now if you think that the card you have drawn does not really make much sense, you have to go on and simply trust yourself with it. Let it sink in for a while, and like the exercises, we have mentioned before, breathe and relax. You can close your eyes, and start pondering over any deeper meanings that your card might reveal. This is a simple process of meditation. And like all processes of meditation, this one too requires time to settle in and give you a proper insight into the meaning of the card that was drawn. 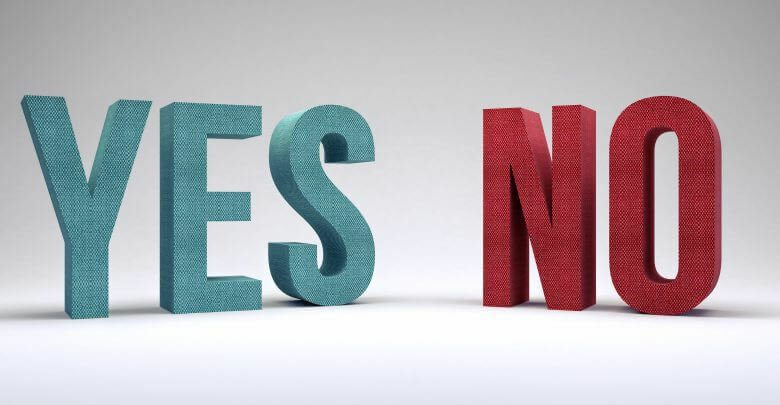 A yes no oracle is something of a process that is not just accurate, but also a reading method to become a guideline in all kinds of life decisions. With this, you can hope to achieve so much more in life and make decisions with the confidence that you are going in the right direction.